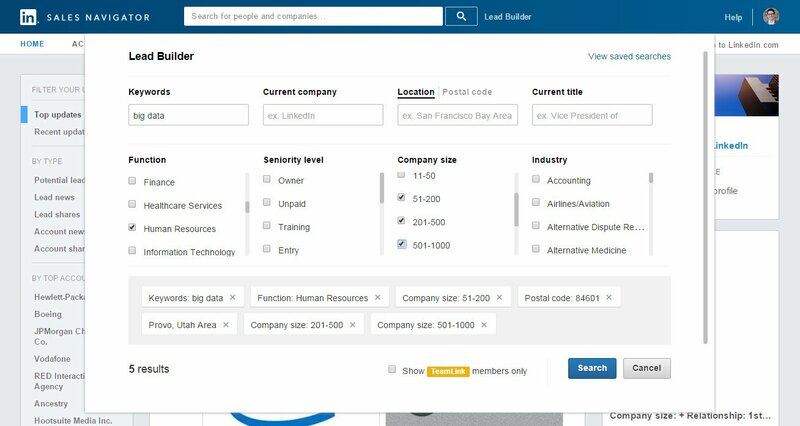 A quick overview and a demo of the key features and benefits of LinkedIn Sales Navigator. 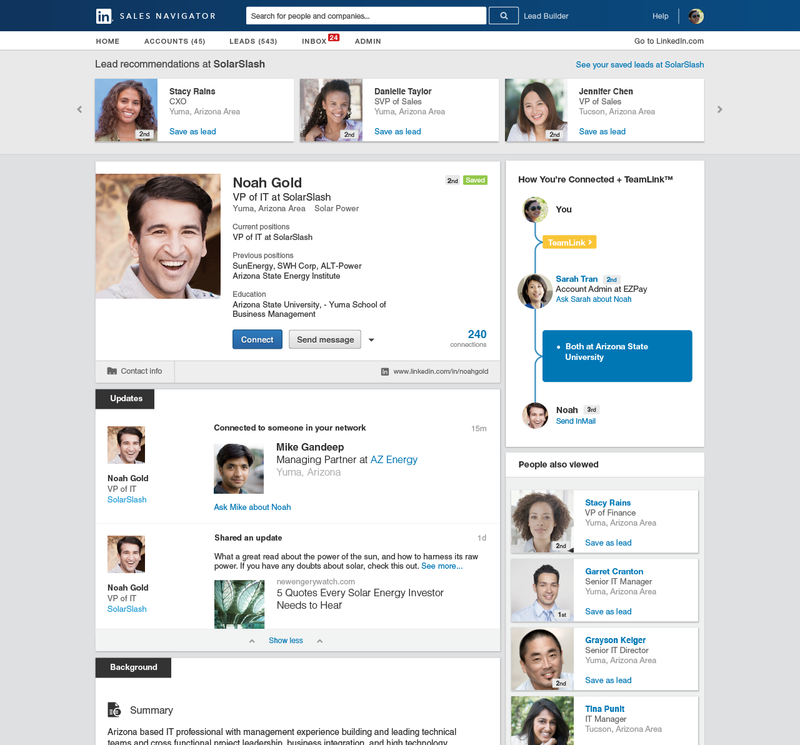 LinkedIn Sales Navigator is the best version of LinkedIn for salespeople. 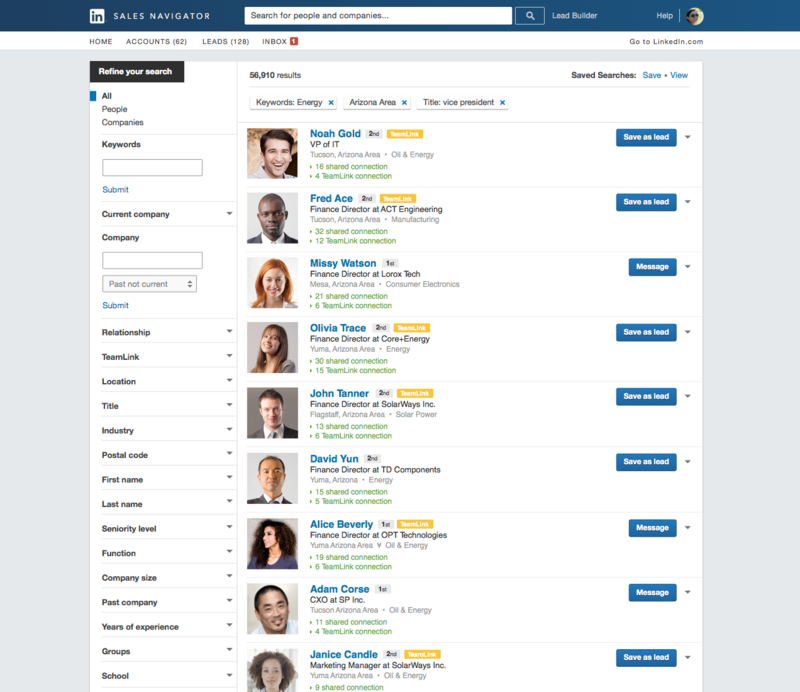 Sales Navigator makes it simple to establish and grow relationships with prospects and customers by helping you tap into the full power of LinkedIn, the world’s largest professional network of 500M + members. 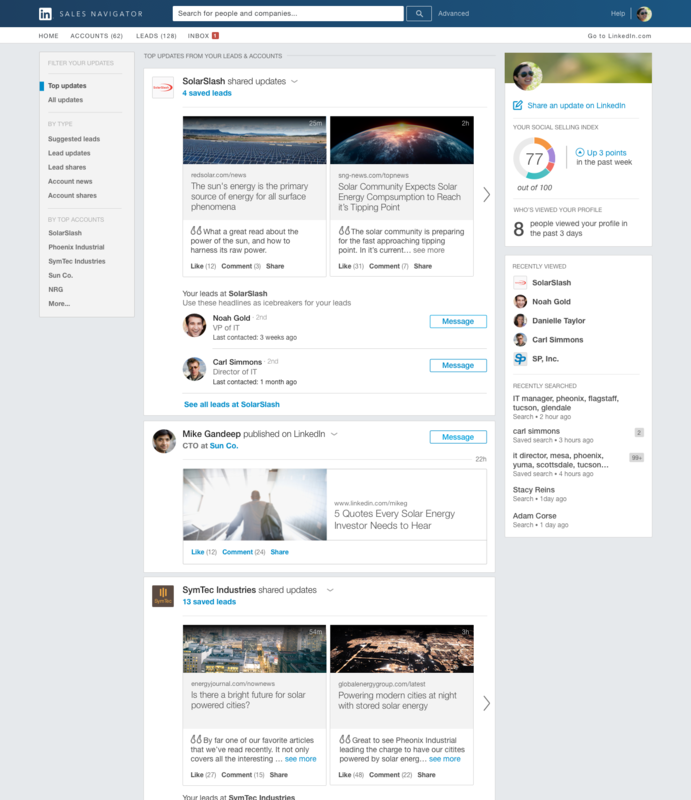 With LinkedIn Sales Navigator, you can focus on the right people and companies, stay up-to-date on what’s happening with your accounts, and connect to new prospects even if you don't have their contact information. 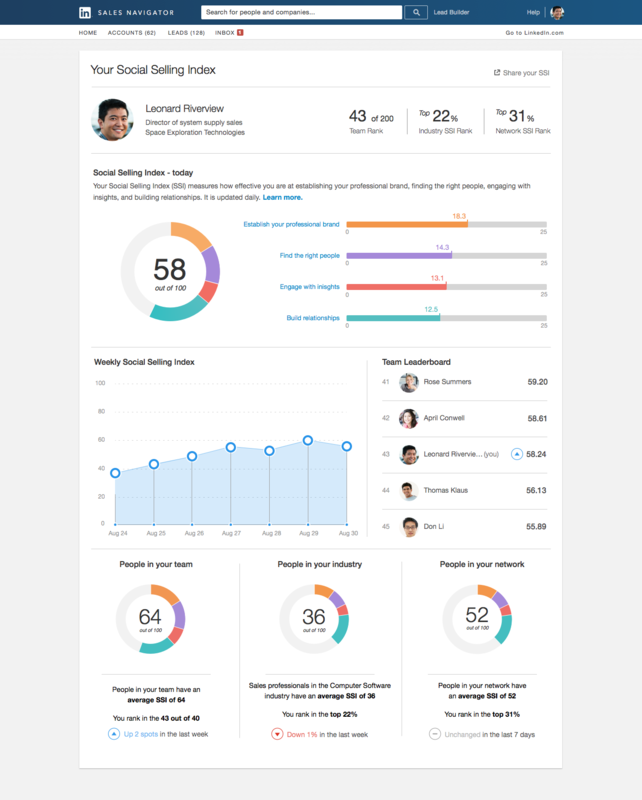 If your sales team has 10 or more reps, you should look at the Team license. Contact us for more information.